I took my 4-year-old to his first Dentist’s visit this week. I have to admit, I’ve been procrastinating because I was embarrassed. I knew my son’s teeth were in bad shape and I’ve been beating myself up about it. I felt that this was the one parenting gig I am failing miserably. It’s not that my son doesn’t brush his teeth, he brushes them twice a day like everyone else. It’s just that I’ve always let him brush his teeth himself because I didn’t know how to do it for him. Also, I’m nervous of him swallowing toothpaste, so we use kiddies fluoride-free toothpaste. I keep one upstairs for night time and one in the car as he usually brushes his teeth on the way to school. I’m ashamed to say I left it so long that my son was in tears last weekend with nasty toothache. I couldn’t avoid the Dentist anymore, it was way past time. We were not dealing with a little plaque anymore, my son already had developed cavities. So I chose the most kid-friendly Dentist I could find. Here’s a guest post by Alyssa Moylan on precisely this topic. A smiling child is one of the beautiful moments in a parent’s life. Which is why you need to keep your kids’ teeth in good health. And also why a proper dental checkup is essential. Parents must think very carefully when choosing the best children’s dentist. #1. How Qualified Is The Dentist? The dentist must be well equipped with a proper degree in pediatric dentistry from a proper institution. The children’s dentist must also have the license to practice it, granted by the State board. These must be kept in mind while visiting the dentist to keep the health of the kid in a proper shape. 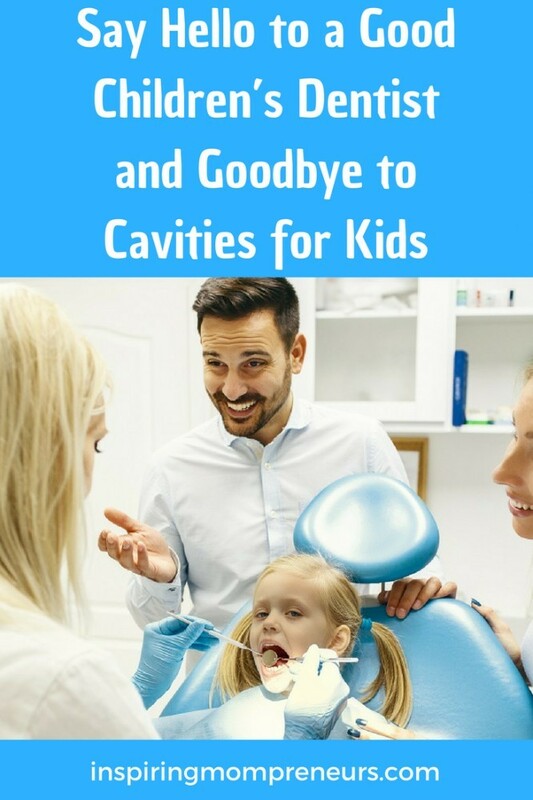 The dentist must be very friendly with the child, as horrifying visits to the children’s dentists may be the reason for your kid’s resistance to visiting the dentist and the reason many youngsters develop dental phobia. There must be a comfortable interaction between the kid and the dentist in order to keep the kid out of cavity zone and teeth problems. Keeping the teeth in a healthy state is what any parent wants for their children. Seeking the advice of Mommy friends can be very helpful when choosing a children’s dentist as many parents experience similar problems in regard to the treatment of the teeth of their kids and their fear to visit the dentist. Checking online reviews of the dentists in your area can also play a huge part in locating a perfect dentist for you. it’s important to find a Dentist who uses their creativity in the method of treatment. Children quite often are scared to clean the teeth when taken for a routine dental check-up or checking the cavity if found out; children’s dentist can surely apply tricks to make the kid less afraid and make it easier to check on the health of the teeth. I agree wholeheartedly. This is what our Dentist said to us, “Because there are so many cavities and issues in your son’s mouth, it would take 12 or 13 visits to repair all of them in the chair. And if just one of those visits goes wrong your son will be put off Dentists for life”. So he recommended that we bring him in to have all of them done in Theatre. Surgery will take about 90 minutes and my boy is not likely to be in pain afterwards. I can be by his side when the Anaesthetist administers the anaesthetic and leave the Theater once he’s asleep. To me, this is the perfect solution. I didn’t even know this was an option but the thought of my son having his fillings done in the chair was too horrible to contemplate. It is not only about the teeth, cavity filling, whitening and cleaning, another main factor is how well the children’s dentist educates the child in taking the best care of the teeth while staying at home. Children need to be taught why brushing is important, how many times should they brush in order to keep their teeth properly white and also strong; how to fight cavities and everything that can be done at home to keep their teeth in proper health. #6. How Hygienic Is The Environment? The office of the children’s dentist also matters a lot. The Dentist’s waiting rooms will attract kids if decorated with toys or cars, anything that will make the experience fun for the kids to attract them to visit the Dentist, rather than making the whole dental experience a dreadful one. It should be an environment of fun that will attract the kids in order to keep the health of their teeth fine and perfect. Our Dentist definitely got this right too. My son had fun playing with the toys in the waiting rooms before his appointment and the Dentist gave him a little wooden toy plane to construct just before we left. He also had rows of photos of children along the walls on the way to his rooms and took a photo of my son. On the way out, my son asked whether his photo would be added to the ones along the wall. Nice touch. 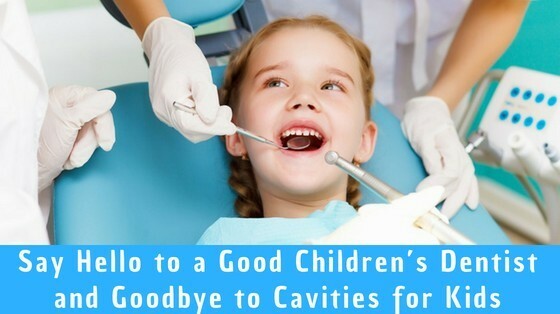 It is also important how the child feels with the children’s dentist when he/she goes for the checkup. The feedback that is given by them is very important. If your child is feeling uncomfortable with the whole treatment received at the check-up, take heed. The important thing that must be kept in mind is not only about the health of the teeth but also how well the child perceives the whole method and process of the checkup, sometimes the anxiety of visiting the dentist creates a resistance to doing what’s required to keep the teeth healthy. Hence, the parent must listen carefully to the feedback they get from their child after their first visit. Alyssa Moylan is an ordinary woman from Australia, a writer by day and a reader by night. She writes on various topics like lifestyle, health, travel and fashion. She likes to think of ways on how to solve daily life problems of people. Follow her on Google+ and Twitter. What was your first Dentist’s visit like? Were you a bad Mommy like me – did you leave it until your child already had cavities? I asked our new Dentist how to prevent cavities and plaque build-up and he said he believes every child should be applying Tooth Mousse every night to strengthen their teeth. So I left our Dentist’s rooms armed with some Tooth Mousse. We’ve been applying it every night after brushing, as instructed (and in the mornings too). I feel like a better Mommy already. You can also get Tooth Mousse on Amazon.